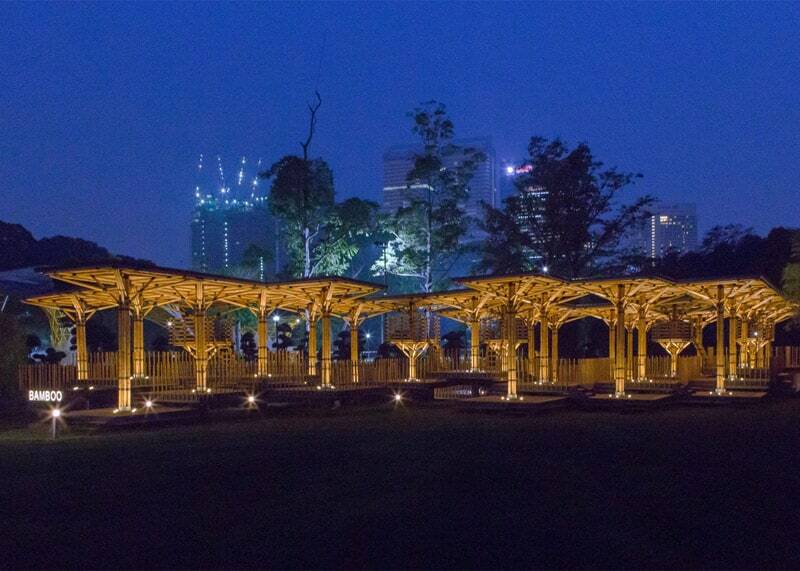 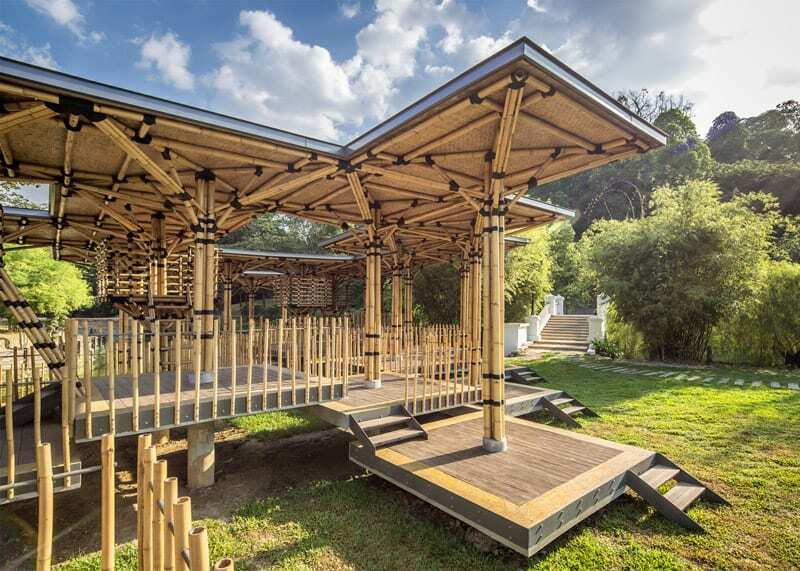 Malaysian architect Eleena Jamil has built a bamboo pavilion in Kuala Lumpur’s botanical gardens, featuring tree-like columns and a floor made up of 31 elevated platforms. 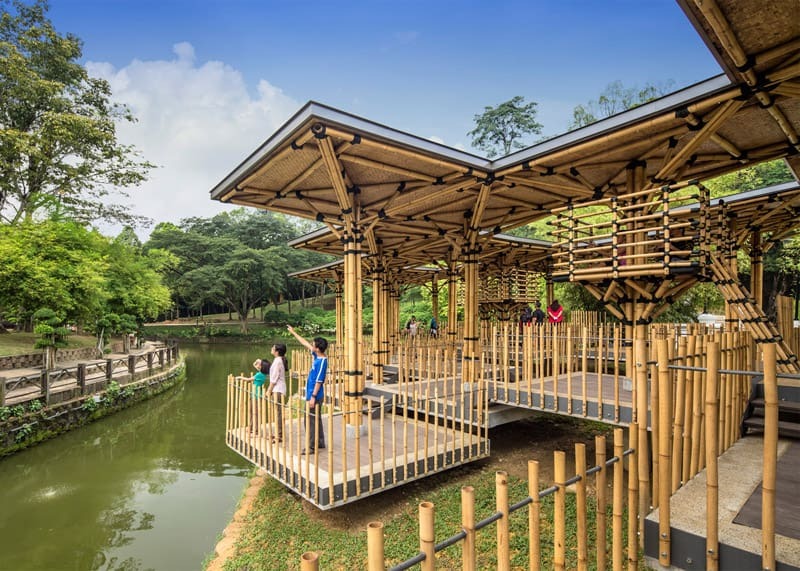 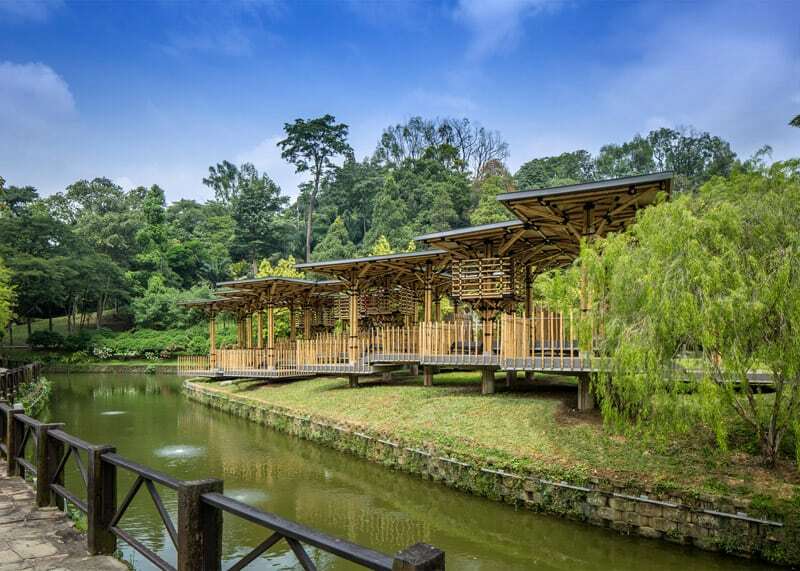 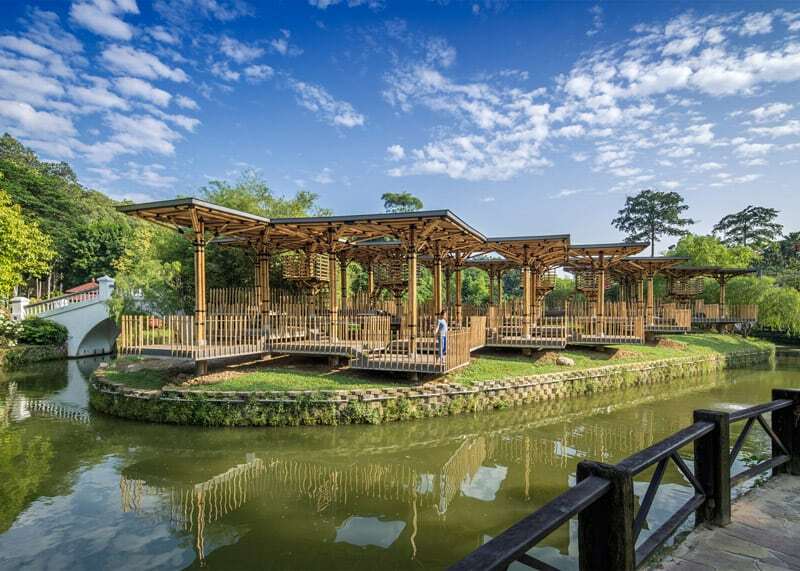 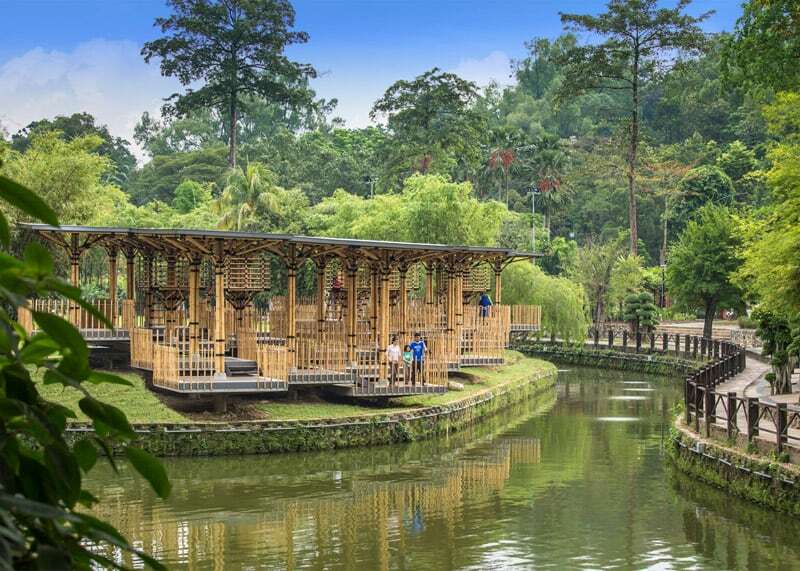 Eleena Jamil – whose past projects include a house a with horse shoe-shaped courtyard – designed The Bamboo Playhouse for the Perdana Botanical Gardens, a 92-hectare park in the centre of the city. 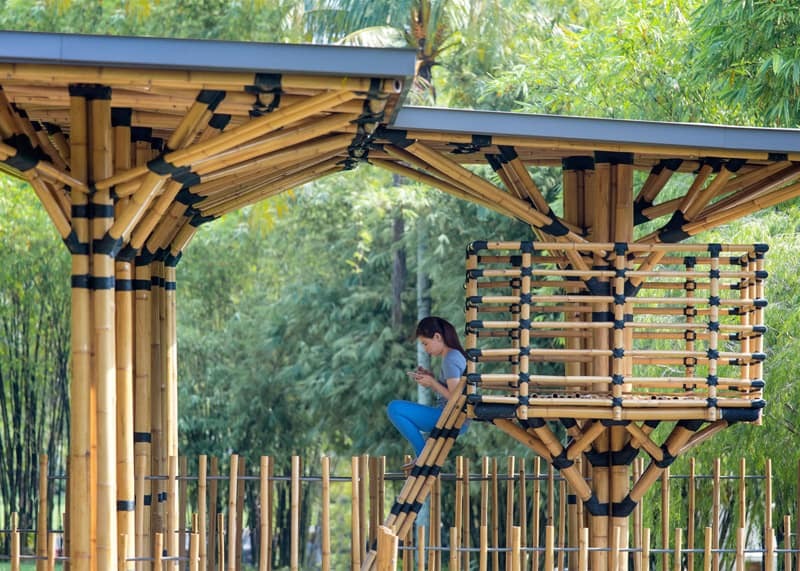 The Bamboo fiber is stronger and cheaper than steel. 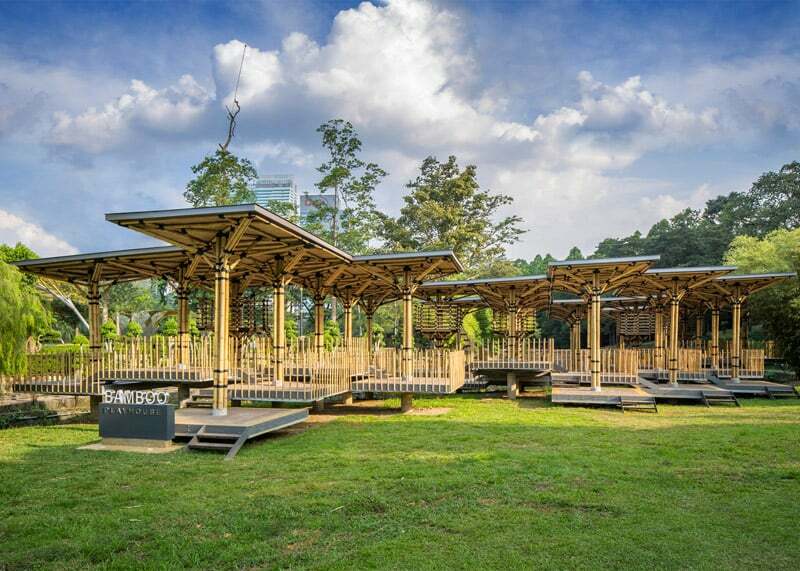 The structure is based on traditional Malaysian pavilions and is primarily used as a playground, but also for events, exhibitions and performances. 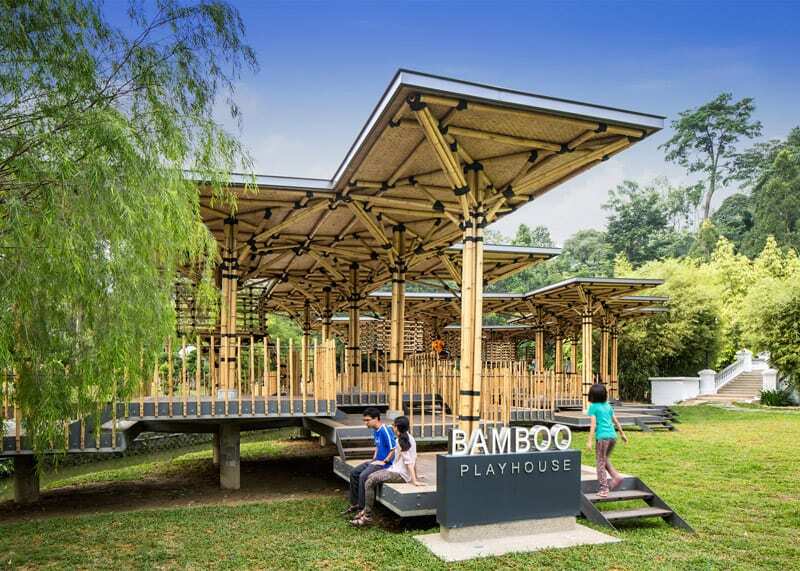 The playhouse is elevated above the ground and has a staggered floor made up of 31 separate decks. 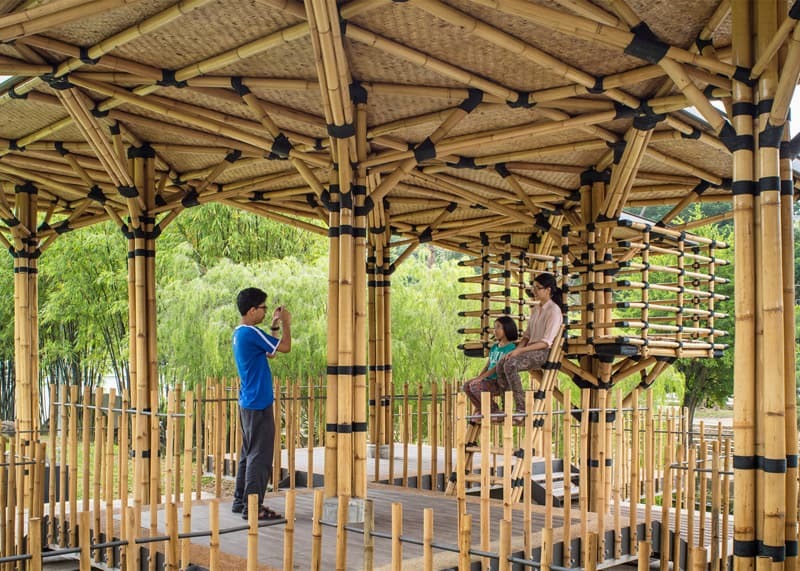 Each deck is surrounded by a fence and shaded by a bamboo parasol on a tree-like column. 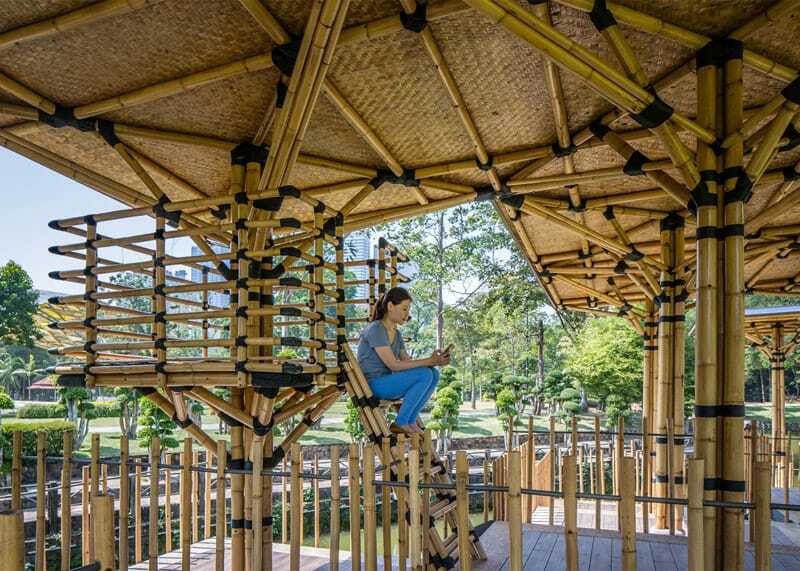 The Bamboo Playhouse was shortlisted for an award at this year’s World Architecture Festival, where bamboo was touted as a revolutionary building material by Dirk Hebel.